October 15th marked the end of the 2017 legislative session in California, and it was a busy year as usual. Governor Jerry Brown received 977 new bills on his desk and signed 859 of them into law. The topics of the bills ranged dramatically, but California business owners need to pay special attention to two bills in particular. Together, California Senate Bill 306 and California Assembly Bill 450 will affect how employers can treat employees during retaliation investigations and how employers are allowed to interact with immigration authorities. Let’s look at each of these bills in turn and consider how they might affect your business. SB-306, written by state senator Robert Hertzberg (District 18), attempts to protect employees from the effects of illegal retaliation by allowing the employee or the Labor Commissioner to “obtain a temporary restraining order prohibiting an employer from terminating an employee based on an allegation of retaliation before completing an investigation,” according to Human Resources Today. The bill does two other important things. It reduces the burden of proof an employee has to provide in order to make a claim. It also increases the power of the Labor Commissioner to investigate employers for retaliation, even if an employee doesn’t make a claim. Before SB-306 took effect, if an employee claimed that an employer retaliated against them, the Labor Commissioner’s only redress was to begin an investigation and then to take the employer to Superior Court. These investigations and court cases could take months or even a year or more to be completed. During this time, an employee would have to suffer the effects of the retaliation, such as a significant amount of loss income due to termination. SB-306 allows the Labor Commissioner to stop the employer from terminating the employee while the investigation and case are ongoing. Additionally, employers need to be aware that the Labor Commissioner can now ask for attorney’s fees and costs if it successfully prosecutes a claim of employer retaliation. It should go without saying that you should never ever attempt to retaliate against an employee for any reason. Business owners need to be extra careful not to even present the appearance of retaliation, as SB-306 allows the Labor Commissioner to open an investigation even without an employee claim of retaliation. To prevent this from happening, make sure that your workplace policies are as clear as possible, including your performance evaluation policies and termination policies. If you seek to punish or terminate an employee, cover all your bases. Write up the employee for infractions and give them the opportunity to improve. Ask managers to write up behavioral or performance issues and keep emails and other communications that provide proof of the infractions. Be especially careful in how you treat employees who have issued complaints against the company. If you follow the law and go the extra mile to provide clear documentation for all demotions, terminations, and any other behavior that could in any way be construed as retaliation, you don’t have to worry about SB-306. California Assembly Bill 450, authored by assemblymember David Chiu (District 17) jumps right into the complicated immigration debate. As President Trump seeks to dramatically increase illegal immigration enforcement, California has notably stepped up to rebuke those efforts. The primary purpose of AB-450 is to protect workers from immigration enforcement while on the job. The employer also cannot provide federal immigration enforcement agents with employee records unless the agent has a subpoena. Finally, employers are required to notify current employees if federal immigration agents perform a verification of their Form I-9 (employment eligibility verification) and what the results of the inspection were. A failure of an employee to follow these new mandates can result in a fine of $2,000 to $5,000 upon the first violation, with the fines increasing with each additional violation. All employers need to carefully review and understand the requirements of AB-450. This bill is especially relevant to employers who hire a large number of non-native employees. The biggest challenge that employers face is that they may be forced to choose between conflicting state and federal laws if federal immigration officials come knocking. For this reason, we encourage you to discuss this bill with your legal team and to develop a clear policy on how your company will react if faced with a request for documents from federal immigration authorities or a federal immigration raid. Make sure your entire management team is crystal clear on how to respond in these circumstances so that you do not end up with hefty fines from the state because a junior manager allowed agents to search records or to access your facility without the required warrant or subpoena. Currently, we live in a challenging immigration environment, with stepped up enforcement on the federal level and strong pushback on the state level. 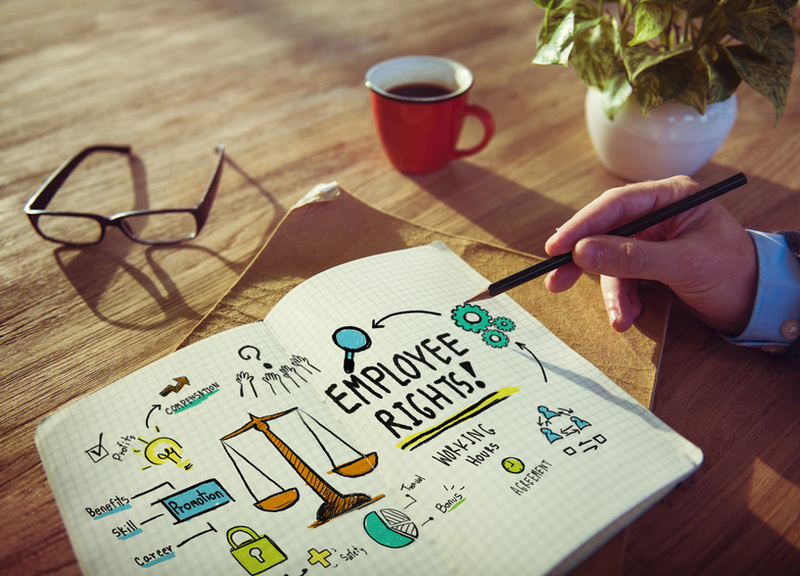 As an employer, it is a good idea to understand both state and federal laws and to work with your legal and human resources team to develop a clear response plan that is right for your business! Need help understanding the constantly changing labor laws at the local, state, and federal level? At Arch Resources Group, we can help you with that and all of your human resources needs.